We recently had the opportunity to speak with Cassie Johnson, the Executive Assistant to the City Administrator in Lindsborg, about how Lindsborg uses BoxCast to stream their meetings. An hour drive north of Witchita, the City of Lindsborg has a unique heritage. Founded in the mid-1800s by Swedish immigrants, the city and its nearly 3,500 residents still hold a deep connection to their Scandanavian history. A biennial cultural celebration called Svensk Hyllningsfest and a 1976 visit from King Gustaf himself have helped shape the town's identity as Little Sweden, USA. The city has always made an effort to keep its residents as informed as possible about what's going on. Its council meetings are an important part of that information sharing process. 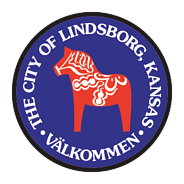 Like many other municipalities across the country, the administration in Lindsborg was looking for a way to bring its council meetings to the public. According to Johnson, "We felt like topics that were discussed were not getting to the whole population. We were looking more for somewhere where we could reach a wider audience than just the viewers on the local access channel." Streaming online was the best way to ensure all residents could access city council meetings, whether live or on demand. When looking for other options, quality of the video and audio was particularly important. In the end, they have been very pleased with the results. In fact, very soon after they began working with BoxCast they were compiling many more views than they ever expected. Ultimately, Johnson credits the approach of reaching out across platforms and having archives of the streams available for on-demand viewing. "If (the residents) want to see something or hear something, it's there, and they can go back to it later and see what was discussed." The morning before a council meeting, Johnson will schedule a broadcast for that evening using the BoxCast Dashboard from her desk. The process is very simple for her. "I log in and click on three buttons and type the name of the council meetings and that's it," she says. At the time of the meeting, a person in the meeting room turns the power on the camera and it's ready to go. Johnson doesn't even have to attend the meetings herself. The camera in the back of the room is connected directly to the BoxCaster. When the camera is turned on, the BoxCaster sends the signal at the appointed time and the stream goes to the BoxCast player, to YouTube Live, and to Facebook Live. In addition to how easy it is to use, Johnson likes the support she receives from the BoxCast team back in Cleveland, Ohio. Whenever she has a question about anything, she reaches out and has an answer within minutes. Because of the responsiveness of the support team, she knows someone has her back. When she was first setting up the BoxCaster, she enjoyed the BoxCast tutorials online. According to Johnson, the videos made the initial setup very easy and quick. She felt immediately comfortable with how the platform worked, which helped her get up and running right away. *Note: Due to a newly enforced Facebook Platform Policy, you must choose to either simulcast to Facebook or simulcast to other live streaming services such as YouTube, Periscope, or any Custom RTMP Destination of your choice. You may still stream simultaneously to multiple Facebook Pages and to your website.